Halloween is right around the corner! Have you started costume planning yet? 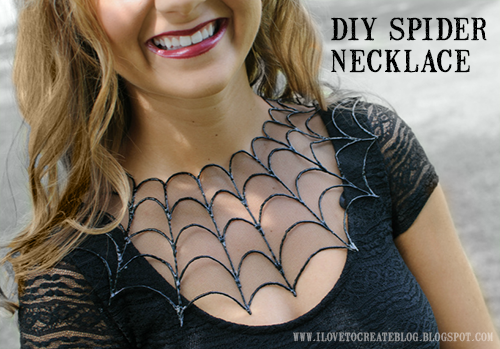 If you have a dark and spooky side, might we suggest this spider web necklace made with Tulip dimensional fabric paint a.k.a. puffy paint? With such a chic and classic design, you'll be the hottest witch at the party! 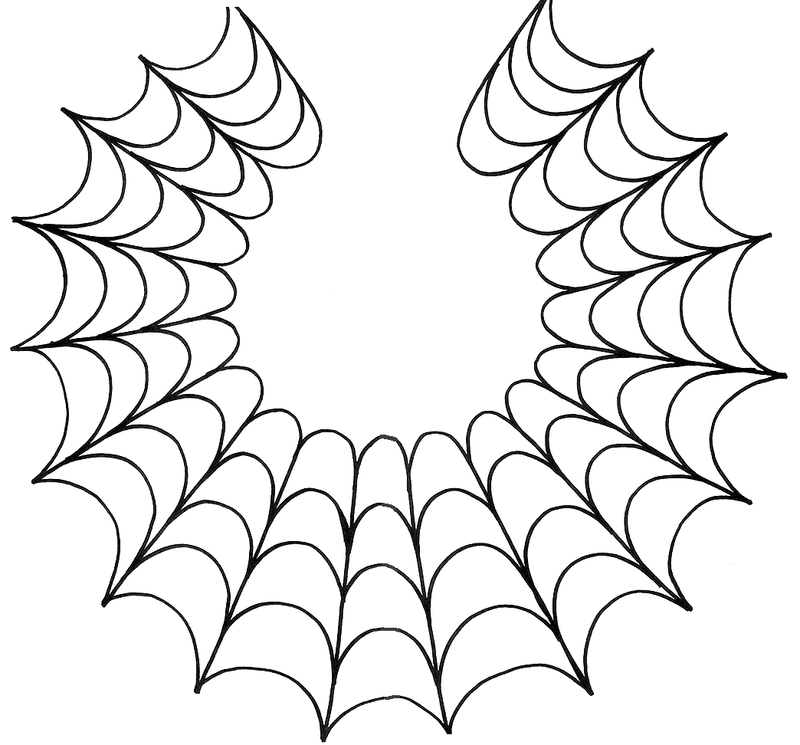 Print out the attached spider web pattern. You will need to set your print settings to "tile", so that it can print on your printer (depending on your printer size, this will be 3-4 sheets). Piece together with clear tape. 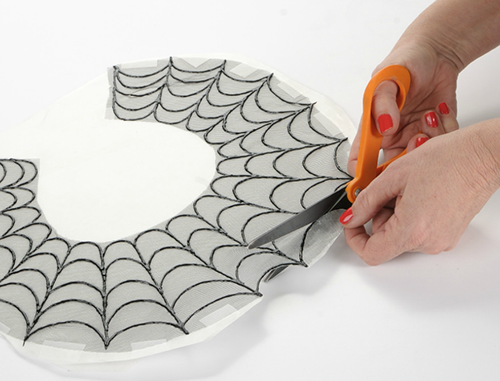 Overlay a piece of freezer paper the size of the pattern, then add a piece of black tulle the same size. Secure in place with more tape. 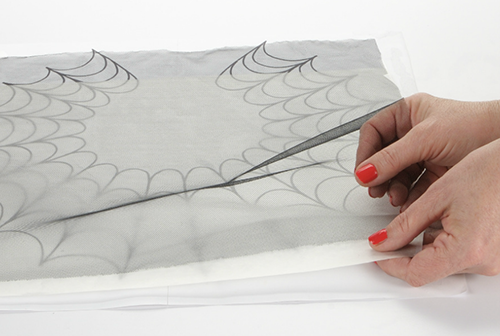 This will prevent the pattern from shifting while you are working on the design. 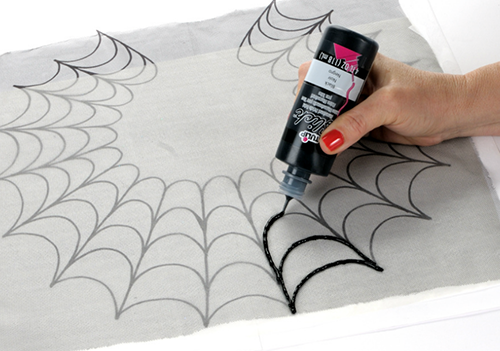 Outline the spiderweb pattern with the black 3D paint. Be sure to apply even pressure for line consistency. Let dry for several hours. 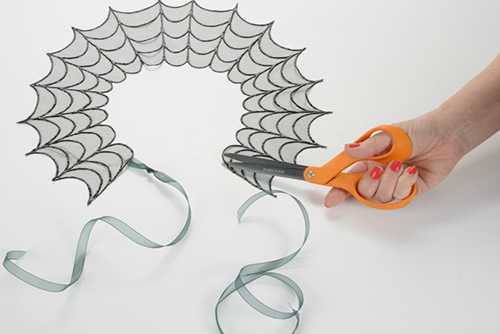 Once dry, cut around the outside edge of your painted tulle. 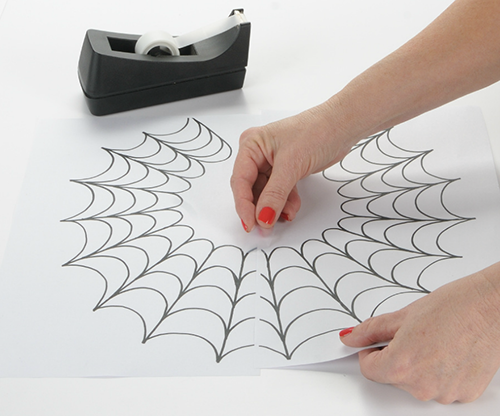 Cut flush with your puffy paint design. Cut a slit small slit in the tulle around the neck opening. 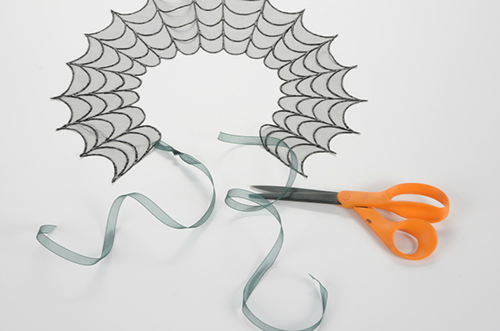 Insert and knot your sheer ribbon. Do this on both sides of the neck opening for a necklace closure. Our model Savannah looks so spooky rocking this cool necklace design! We love the lace shirt she paired it with, and it'd look great with a strapless look too! Absolutely awesome......a must make for my granddaughter...thanks so much. You could probably also turn this upside down and make a crown out of it!!! How cute...Spider Queen!!!! I wonder how it would like in white paint on white tulle. Aren't spiderwebs kind of whitish? Glow in the dark paint! I use Adobe Reader XI and this is what I did to get the tiled printing. Open the file. Choose Print. Click on the Poster button in the middle of the print dialog window. Then in the Tile Scale percentage box just below that, you can change the size you want it to print. In Adobe XI using a laser jet printer I could set it anywhere between 126% and 188% to get it to print on 4 pages. You can see a print preview on the right side of the print dialog window. I guess you just have to figure out what size is best for you. When you type in the Tile Scale box, don’t press Enter after or it will print. Press the Tab key and the print preview on the right will update. If you are using Adobe Reader 9 or earlier, here is a link to the instructions for tiled printing. If you are using Adobe 10, the directions for XI may work. I’m not sure. To print on an hp printer,click the link then, click tools, click zoom, choose 150 or 200%. Then click print, when the print box comes up click preferences, then choose advanced, then turn on poster printing. Mine printed out in 4 sheets. 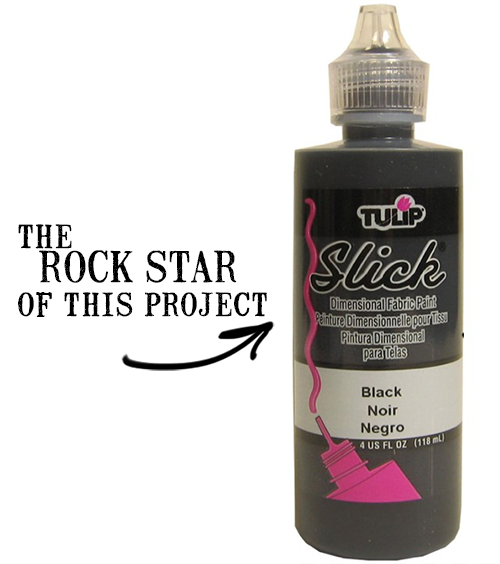 Tried this today using puffy paint instead of slick. Worked out pretty well but it took a lot more than 4 hours to dry. Oh my gosh! These are so adorable!! It looks very easy. I got it. Thank you for your DIY project. Nice...very innovative...but web size should be maintained.